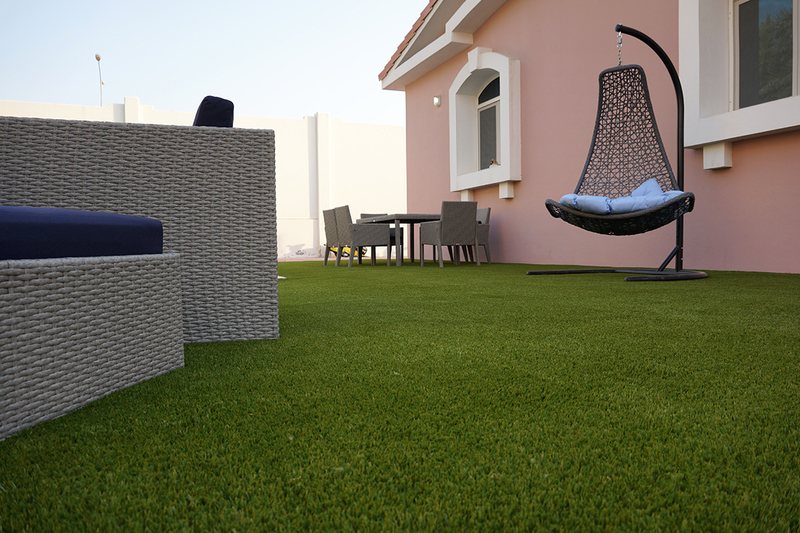 There are huge differences in the quality of artificial grass. 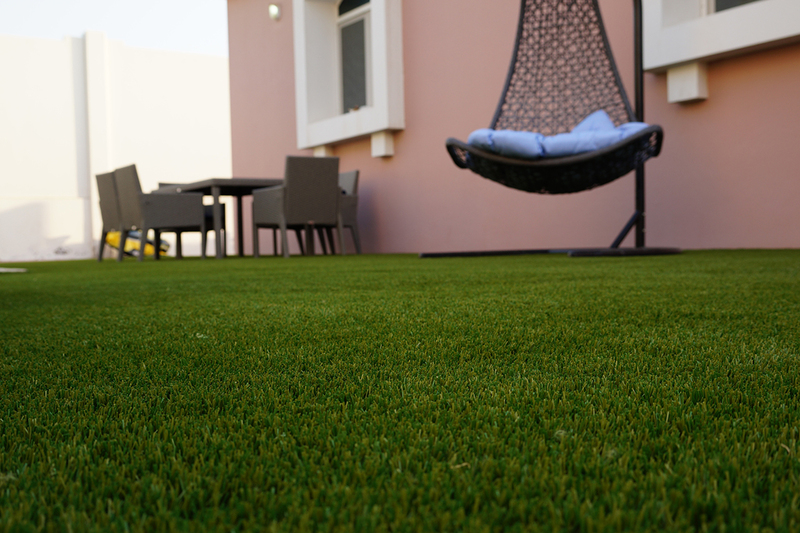 A simple example: most artificial grass types have single backing (which is the fabric on the bottom side) while Royal Grass® products have double backing. This makes it firmer, easier to install, adds more back support to the grass and protects against shrinking and expanding. Our thread, so the grass itself, contains no heavy metals. Is that special? Yes, because many other types of artificial grass have color pigments that contain tiny concentrations of heavy metals. 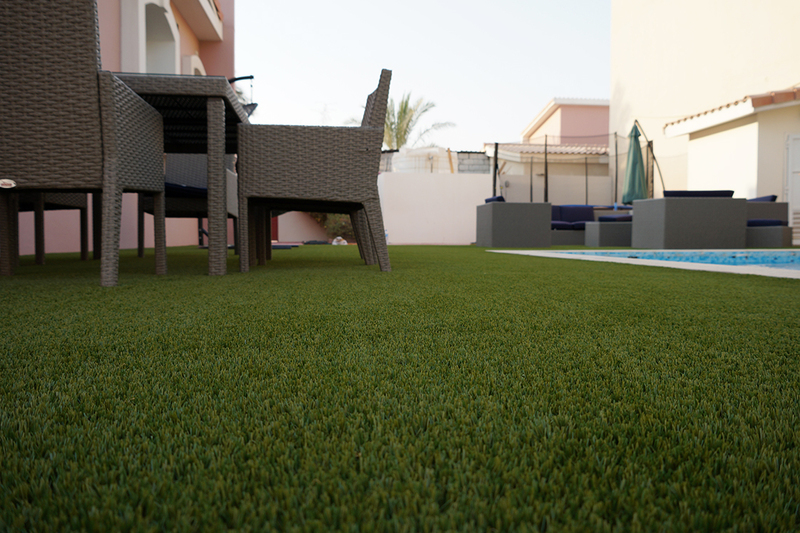 For plastic toys there are very strict regulations in place, but for artificial grass this does not apply. Do you think that’s strange? Yes, so do we. That’s why we demand ourselves to use fibers that are guaranteed to be clean and safe. 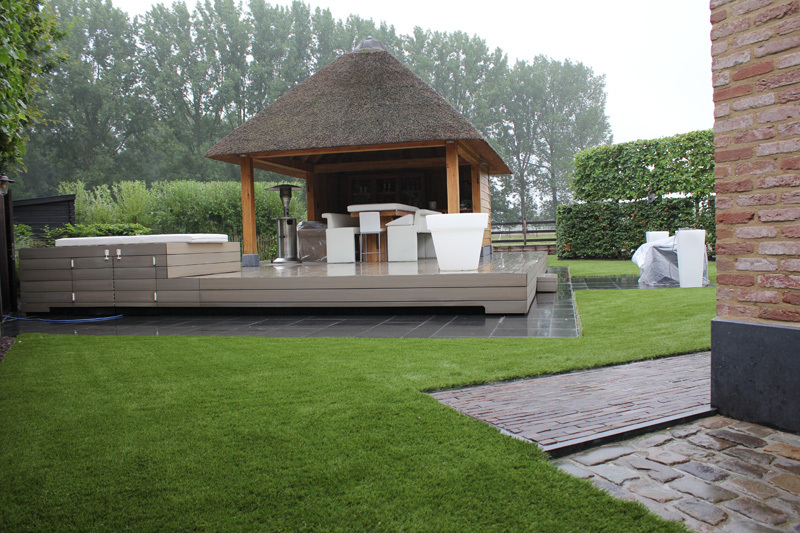 Does the quality of the material have an influence on the way artificial grass is produced? No. Not directly. The process is pretty much uniform, regardless of quality. 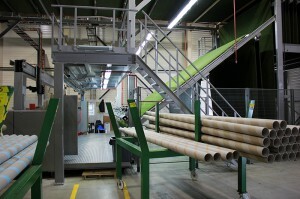 That’s why we can summarize the production of artificial grass easily into five steps. 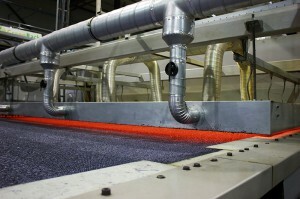 Initially, there are two resources: fiber and backing. 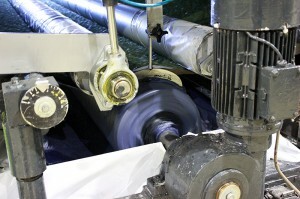 The fibers come on big spools, and the backing comes on rolls of over 4 meters wide. The first step is to bring those two together. This happens in the so called ‘tuft’. 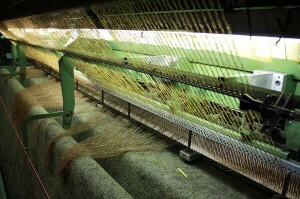 The fibers are transported through tubes that are hanging on top of the machine into needles. Those needles stitch the fibers from above into the backing. A hook then pulls the thread back, creating a loop. This process is called tufting. And indeed, that comes pretty close to sewing with a sewing machine. The difference is that the thread disappears in the fabric and the grass needs to stand up straight in the backing. The fibers are now still loose in their backing. When you grab a fiber on the bottom side of the backing, you will pull it out without any effort. That’s why the bottom side will get a protective layer. This is a coating of glue, which makes sure that the fibers will stick to the backing. There are two ways in which the coating can be applied: With most machines, the artificial grass enters the machine with the backing face up. The coating is then pulled over the backing. 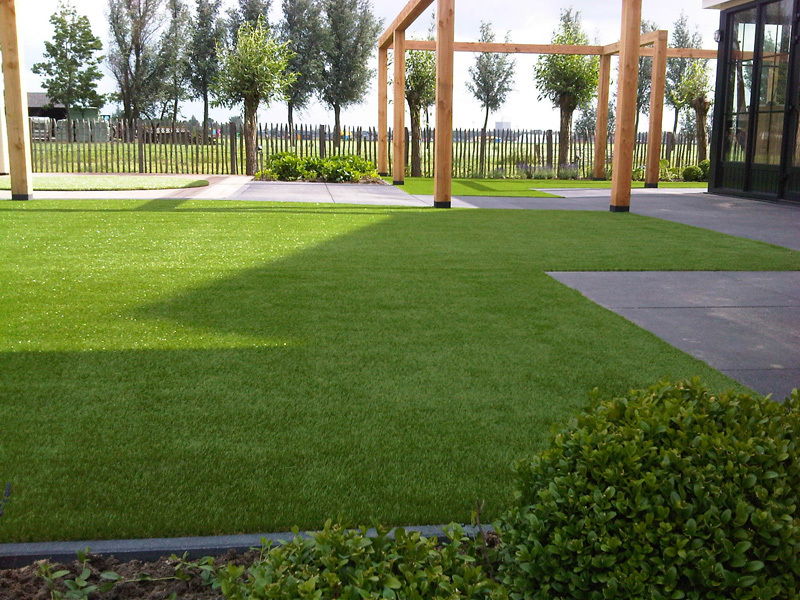 We, however, choose to insert the artificial grass with the backing face down. The coating is then ‘licked’ to the bottom side. This process results in a more equal and smooth result. Is the thickness of the coating important? Yes. Absolutely. 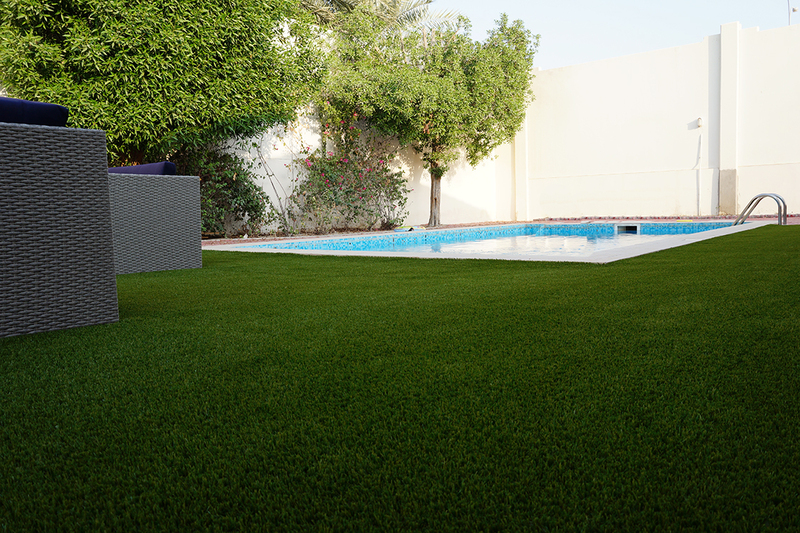 This is another difference between high and low quality artificial grass. The thinner the coating layer, the lower the cost price. But it is obvious that the fibers will be less solid in the backing, and will come out more easily when the grass is installed. We don’t have to tell you why we chose a thicker coating. Right? 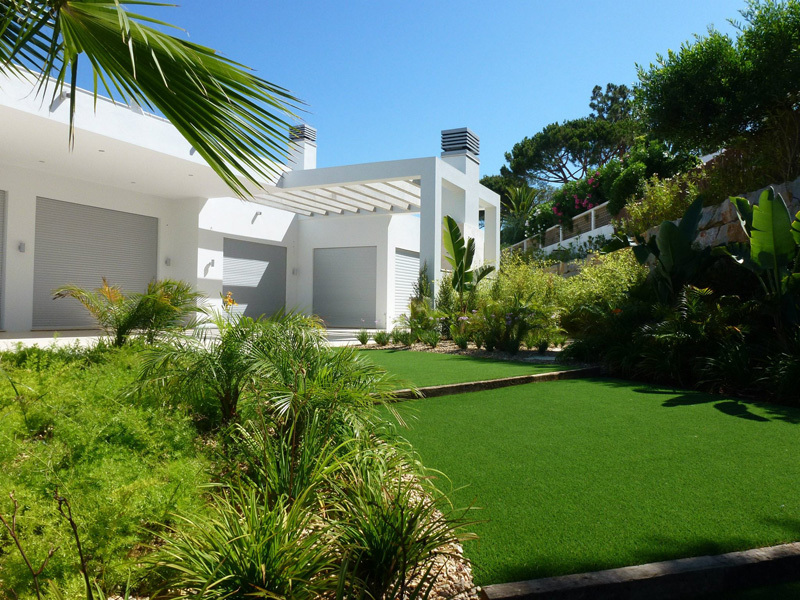 Another part of the process in which the difference between superior and inferior quality artificial grass is highlighted, is the drying process of the coating. 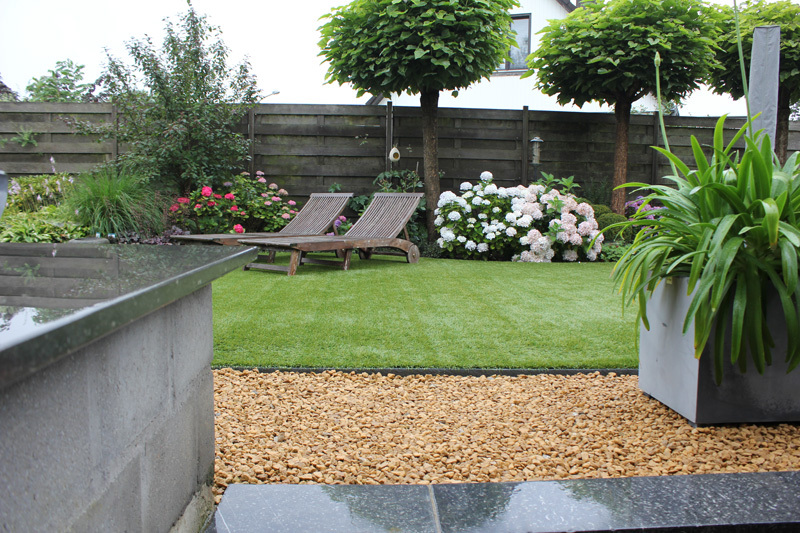 Usually, artificial grass goes straight into the oven to dry. However, not with us. First, we put the grass into an infrared booth. In this booth the grass is given a ‘wallop’. We give the grass a good scare, so to say. This way the coating will already lose much of its moisture. The advantage is that the oven can do its work on lower temperatures. Yes. The more time you give anything to dry, the better, more beautiful and stronger the result. This applies to paint, your hair, a cake in the oven, glue… everything. This is also true for artificial grass. 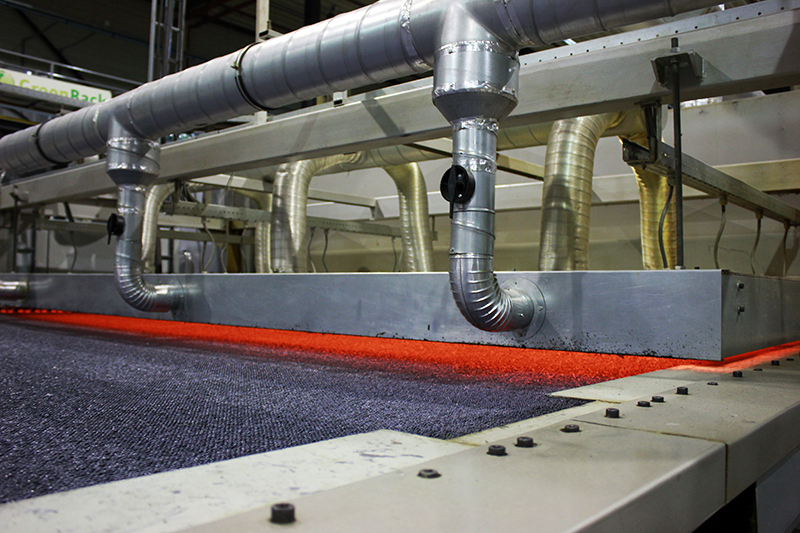 And we understand: the higher the temperature in an oven, the more quickly the coating will dry, the faster you can have grass run around the spool and the more meters you can produce per hour. So from a financial point of view: go for it. But from the point of view of quality we say: not so much. 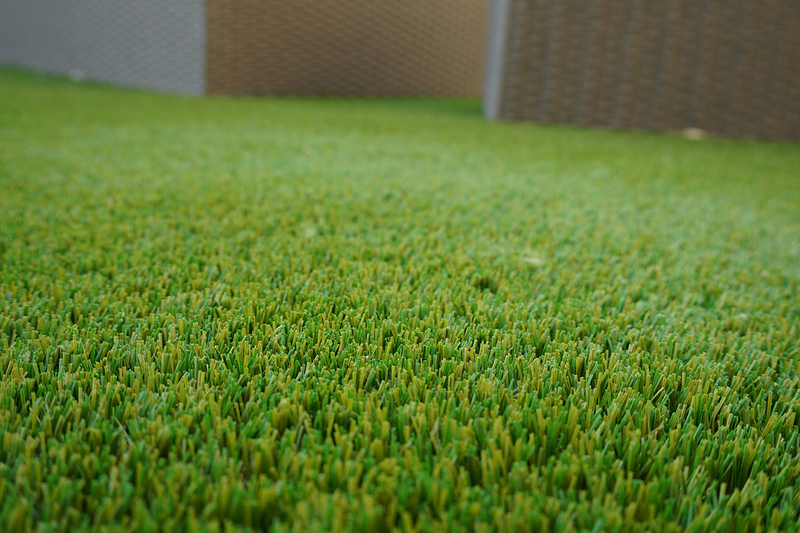 Artificial grass needs to be perforated. If this is not done, rainwater cannot escape, and pools will form on your lawn. It is a small step, but essential in the process. Are there any differences in this? No. That being said, it is definitely an advantage that our backing consists of a double layer. This makes it more solid than most other backings. With every hole you make in the material, you lessen its integrity. But: the thicker the material, the less impact this has. 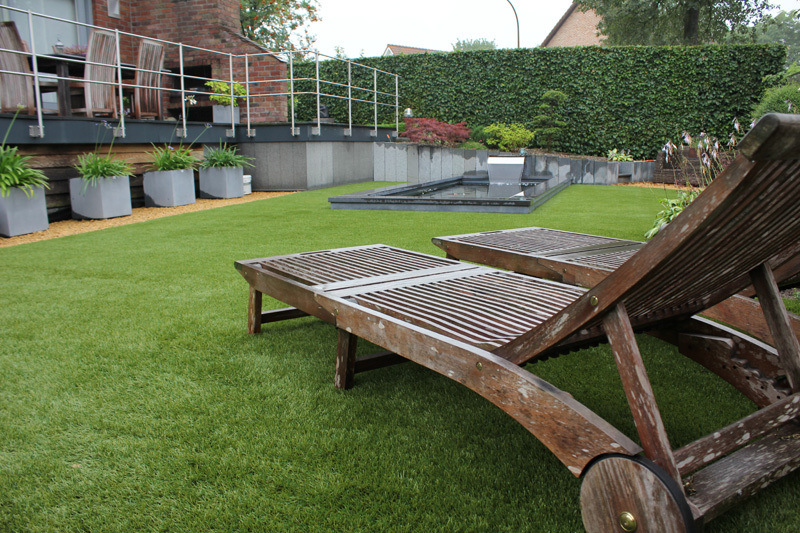 Did you know that this might be the most underappreciated and probably the trickiest part of producing artificial grass? Rolling it up. Or dragging, as they say here in our factory. 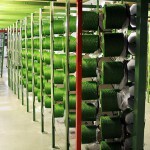 The grass is 4 meters wide when it is dragged onto cardboard spools. 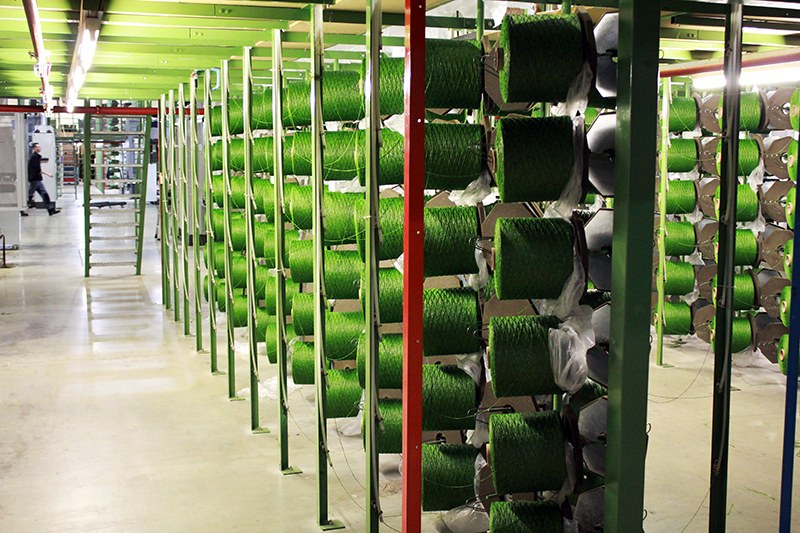 The big challenge here is to make sure the tension that comes onto the grass is exactly – and we mean exactly – the same across the entire width of the spool. Because what happens if the tension isn’t the same everywhere? The grass will ripple in places where there is less tension. It is given room to maneuver; to expand. This leads to unusable pieces. Try to roll up a piece of carpet by hand. It will be tight in the middle, and somewhat loose on the edges. If you then unroll the carpet after a week, the edges will curl up. And that is something we definitely do not want. 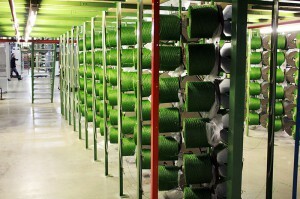 We strive for uniform quality, across the entire width of the spool. Indeed. The artificial grass is finished. It is wrapped in plastic wrap to protect it against external influences, and is then stored in the warehouse. Usually, it is then transported over the entire globe. That is the process in a nutshell. A very big nutshell indeed. If you have any questions, please do not hesitate to call. 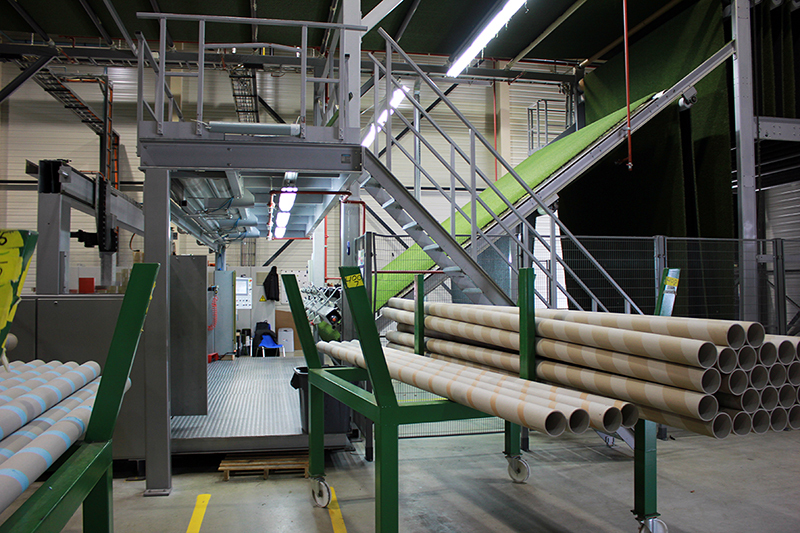 We are happy to enlighten you on the choices we have made for the production process.